I’ve been asked repeatedly over the last year “What’s a pogonophobe doing writing a book on beards?” The answer is, whether you love or hate it, facial hair has a fascinating and quirky history. Depending on the century, beards have been adored, hated, lauded and legislated against; moustaches have been praised as the adornment of princes or scorned as the mark of a gigolo; while whiskers – aka sideburns – have been considered fashionable, foppish or a serious sartorial faux pas. Since the dawn of time men (and women) have been preoccupied with the hair on their faces. Archaeologists have found early tweezers made from hinged shells or bones, and men as well as women experimented with sugaring and waxing to remove hair. In ancient Egypt, priests depilated their entire bodies – and then wore false beards; ancient Greek men attempted to emulate the gods by growing long, lustrous beards which they curled with hot irons; and ancient Romans kept their facial hair clipped short. Although Pliny reported on the fashion for shaving in the 2nd century BCE, three centuries later beards had made a comeback, thanks to the acne-plagued emperor Hadrian, who grew a beard to hide his spots. A medieval manuscript promises growing a beard will cure a man of toothache (what a woman suffering from toothache should do is unrecorded), and a book written by a British apothecary in 1595 includes a recipe to encourage the hair of the beard to grow – but it was not all fun and painfree teeth for the hirsute man in the 16th century. In France a law was passed banning any bearded man from entering the law courts and it’s often claimed that King Henry VIII introduced legislation against beards in Britain – even though the National Archives at Kew has no record of any such law. Under the reign of Henry’s daughter, Queen Elizabeth I, pogonophiles rejoiced. If the paintings in the National Portrait Gallery are truly representative of British men in that first Elizabethan age, barbers must have been hanging up their scissors in every village in the land. Such enormous beards, flowing moustaches and thick, bushy whiskers had not been seen for centuries. Elizabethan men wore their facial hair – and more than a smattering of bacteria – with pride. Such a profusion of beards would not be seen again until the reign of Queen Victoria, when as the female suffrage movement began to gain force, beards became even more massive. It seems that when women are in power – or are agitating for power – British men grow beards. I’d pondered the phenomenon while writing March, Women, March: Voices of the Women’s Movement, but while researching Moustaches, Whiskers & Beards it became even more apparent. The louder the calls for equality, the bigger the beards become, as could be seen again in the 1960s and 1970s as the women’s liberation movement took to the streets. Whether Henry VIII did consider a beard tax may remain a mystery, but Tsar Peter the Great of Russia certainly did. In the autumn of 1698 the Tsar returned from a Grand Tour of Western Europe. While travelling, he noticed that non-Russian men no longer grew all-encompassing facial hair. This, he decided, was holding back his country on the world stage: Russian men looked like cave men in comparison to their Western European counterparts, and who would want to do business with a country that looked so far behind everyone else? Soon, any man in Russia who wasn’t a priest had to shave or pay a beard tax. The clean-shaven look came to an end in Britain after the Crimean War of 1854 to 1856, and by the 1860s a Victorian man without a full beard was considered to be untrustworthy, with whispered rumours there was something odd about him. Beards were not merely fashionable but considered a social necessity. By the end of the century, Aesthetic artists and writers had began to claim back the shaven face, sporting dandified moustaches, theatrical sideburns or the smallest of “van Dyck” beards. This continued to confirm the suspicions of the conservative older generation that there was something of the Oscar Wilde about beard-free men. The moustache’s new moment of glory began with a scientific breakthrough: the discovery of bacteria. This meant that by the end of the 19th century, it was beards that were being looked on with suspicion, with some professions, especially those in the food industry, banning workers from growing beards. Now the intelligent, fashionable man-about-town was returning to the barber for a hair-free chin and a perfectly coiffed moustache. The death knell for big facial hair was rung by the First World War, because gas masks would only seal properly on hair-free skin. 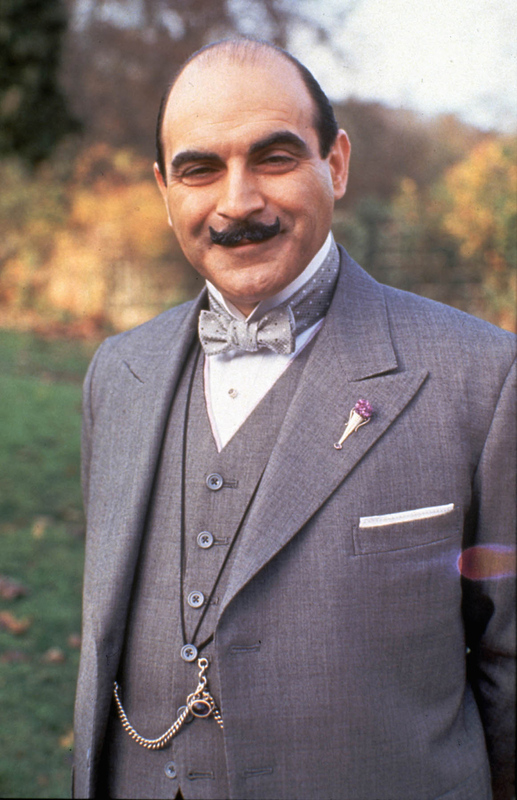 By the 1930s, the moustache had become the sign of the Hollywood star and heartthrob – until the Depression saw increasing numbers of men out of work. Moustaches, helpful articles proclaimed, were not the sign of a man serious about his career: “shave your moustache if you want to find a job” advised one author. The Second World War – and the return of the gas mask – put the kybosh on facial hair for yet another couple of decades (it was a brave man who would sport a toothbrush moustache in a post-Hitler world). Since the 1960s, men’s facial hair has fallen in and out of fashion, once again alternately loved, hated, immortalised in art and discouraged by companies keen to sell their shaving products and aftershaves. The early 2010s has seen more facial hair on the streets of Britain for decades. Can we hold the recent interest in new feminism responsible for the rise of the so-called Shoreditch Beard? Whatever the reasons for the recent fad for facial hair, the male grooming industry must be hoping for its demise – recent reports claim the makers of razors and other shaving products have lost £72 million throughout Europe in the last 12 months. 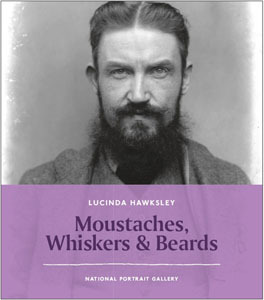 To find out more about the history of facial hair, from cavemen to Conchita Wurst – and to see some of the National Portrait Gallery’s best, worst and most truly astonishing images of hirsute men and women – get yourself a copy of Moustaches, Whiskers & Beards.